A few of weeks ago I came across an article quoting António Horta-Osório, the chief executive of Lloyds Banking Group, as saying that the concept of portable bank accounts would not increase the number of customers who choose to switch their banking to another provider. The concept of portable bank accounts (where you take your account number with you when you change banks – much like when you take your mobile/cell phone number with you when you change telecom provider) has been discussed by the regulator in the UK for some time – years in fact. The logic being that they want to make it easier for customers to switch their banking from one financial institution to another, and a perceived barrier is that the customer would have to change their bank details if they did so. Having a portable account means you don’t have to tell anyone about the change eg your employer, utility companies etc. “Nothing wrong with that” I hear you cry. You might even say “sounds like a good idea”. Well, for me at least, I’m not convinced this is such a great innovation. Don’t get me wrong I’m all for things that make life easier for customers, but there’s a fundamental issue at the centre of this. The thing about being a customer is that I want to be known as a customer, as a person, as me – not a number. Customers are not a number in a database or income on a balance sheet, and should not be treated that way. To quote from Doug Smith “if you respect the customer as a human being and truly honour their right to be treated fairly and honestly everything else is much easier“. You have to show them that right now, in the here and now, they are the single most important person to you. It is you who revolve around the customer’s world, not them revolving around yours. Let’s not kid ourselves either, this is not limited to banking. Treating customers as ‘income’ not as individuals is prevalent across all industries – how you overcome this is the challenge. Previous Previous post: Are you a Measurebator? With the current model of being ‘prisoner’ at a specific bank – not allowed to freely move across their fence – nothing stops them from treating you like a number. In fact, many of them do. When you call their Customer Service, do they ask you for your name? I beg to doubt that your bank does. The dozen or so banks that I personally know always – and only – ask for you account NUMBER: this is what you are to them, nothing more. (Well, more than a number – than one number, that is. At best you are several numbers – of different accounts, e.g. current, savings, credit card, mortgage – that they often do not know belong to the same PERSON). This is the reality. Portability has nothing to do with being a number (or not). It adds to the ‘being a number’ status quo at least one extra degree of freedom: the freedom of movement. I can’s see how the fredom of movement would make me a prisoner? The preference of customers to be treated like human individuals, and the will (or absence threof) of banks to treat them so, is a whole different story. A serious challenge with or without portability, and merits separate deep and extensive discussions. And, hopefully, actions. I don’t disagree with your sentiment that banks loose site of the fact that there’s a real person behind their account number, and I agree that being a number adds to the ‘being a number’ status quo. Indeed this would be regulatory/government reinforcement of this behaviour – and this is clearly wrong. 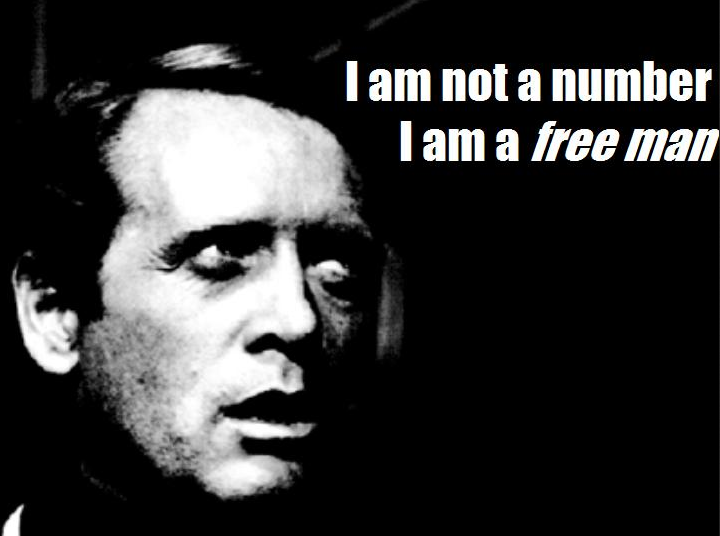 That said, I’d clarify that I’m not saying the freedom of movement makes you a prisoner – I was simply using this well-known quote from the cult TV series to illustrate my point that behind every account number, balance sheet, entry in a database etc there is indeed a real living human being; and there should be an emotional connection with the brand (I’m not just talking banks here) for them to stay loyal.